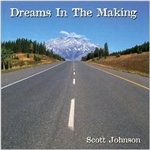 This great CD is a compilation of business blues songs inspired by themes from workplace experiences. This is bottom line blues for anyone with a job. Each song on this CD playfully describes business/work/life and how we relate to it. The music is cross genre, sometimes edgy but always distinctive, rhythmic and tuneful. 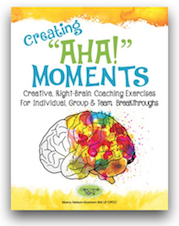 This 140-page, pocket-sized book is a guide to facilitating powerful activities to create more connected and more engaged teams. The emojiCARDS Activity Guide includes 20 brand new activities to use with any of our emojiCARDS decks. Group leaders of all skill levels and experiences can use emojiCARDS to promote two 'separate areas of learning: processing emotions and discovering emotions. A valuable educational tool for quality group facilitation. The deck consists of forty-eight simple graphic images that can assist participants in creating their own metaphors. Based on the Chinese concept of the yin and the yang, each card reflects the continuum between polar opposites. A Powerful teaching tool that challenges either/or solutions.